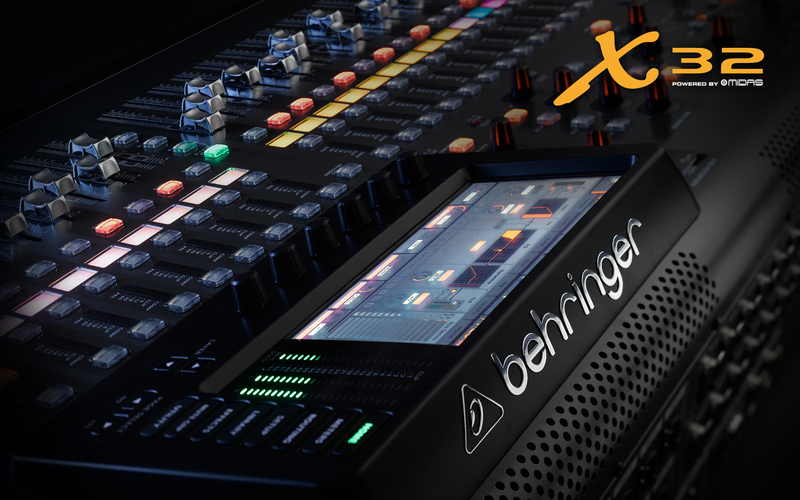 The BEHRINGER X32 has changed the game by completely rethinking what is possible from a digital mixer – and tens of thousands of new users are enjoying the results. A fluid workflow coupled with a fully interactive user interface ensures immediate familiarity and instills confidence. Advanced engineering and meticulous design deliver stellar sonic performance at an extremely affordable price – changing the game entirely. From a “kitchen-table startup” to one of the largest and most successful pro-audio companies in the World. For Uli Behringer, who started the company that bears his name and is the current driving force and CEO of the MUSIC Tribe, the timeline for the last 25 years began with a risky move from manufacturing in Germany to production facilities in various rented locations on mainland China. With the creation of DEEPMIND 12, the ultimate true analog, 12-voice polyphonic synthesizer is finally a reality. DEEPMIND 12 allows you to conjure up virtually any sound you can imagine with unparalleled finesse and ease. Thanks to its 4 FX engines, dual analog OSCs and LFOs per voice, 3 ADSR Generators, 8-Channel Modulation Matrix and onboard 32-Step Control Sequencer, the DEEPMIND 12 gives you complete control over your soundscape. Plus, DEEPMIND 12 features comprehensive remote control via Pad*/PC/Mac and selected Android* Apps over USB, MIDI or built-in Wifi – for a custom-tailored workflow that lets your creative spirit soar to new heights. When it comes to providing signal distribution in commercial sound applications, the DS2800 Professional 2-Input 8-Output Distribution Splitter is the leader in its class. Extremely flexible and easy to use, the DS2800 features two modes of operation that allow you to send either 2 audio signals to 4 separate zones, or a single signal to up to 8. This level of versatility makes the DS2800 the ideal choice for a wide range of applications including everything from recording studios to shops, restaurants and more.